We assist you to choose the most appropriate rise recliner / lift chair for your individual requirements. We carry all brands / types. Chairs with legrest is synchronised with the backrest; Rise or recline motion stops at any point when button is released. Hand held easy to use controls. Back up battery mechanism, in most models, ensures peace of mind. Many different types of foam density, dimension, colors, materials, leather, vinyl etc. Choice of Single Motor or Dual Motors to suit your convenience. 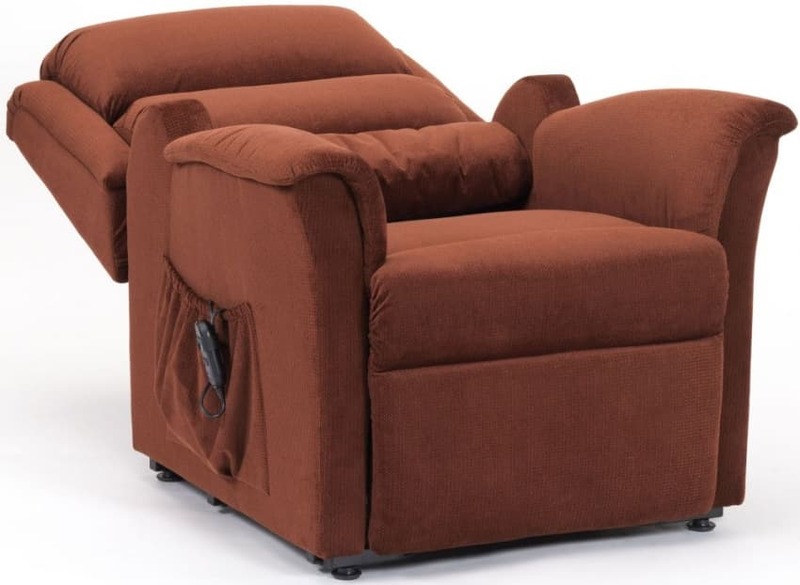 Ideal for people who find a standard Rise Recliner too big and too bulky. They come in a variety of colors and styles. Choose a chair in which you feel cozy and comfortable. Easy to manage remotes and most models comes with a back up battery system for added safety and convenience. Mt Colah, Hornsby, NSW 2079. Next to McDonald’s. Our Rise Recliners have unique features that you may not find in a standard mobility retailer. Adjustable head rest, removed arm covers, specialized density for cushions, option to customize, and even choose your own selection of fabric, colors and materials if that is what you are after. It is very important that you find a Rise Recliner that meets your specification: height, depth and width, rather than you suit a standard run of the mill chair. There are a choice of heavy duty Rise Recliners that would be suitable to manage a range of body weights. There are also 3 Motors Chairs, Chairs that are portable with wheels, and made of pressure care materials in the event the user requires additional care for pressure care. In one of the largest showrooms in the city you will find a wide range of rise recliners. You are certain to find one that meets your needs. We understand rise recliners and lift chairs. Our highly experienced team will guide you to the most appropriate equipment after understanding your unique requirement. We have an excellent service team, should you need it at any time. Expertise: We understand rise recliners and lift chairs. We have an excellent service team, should you need it at any time. I’D LIKE TO FIND A RECLINER NOW!